St. Helena offers guests a unique feeling of the Old Colonial Style of living. 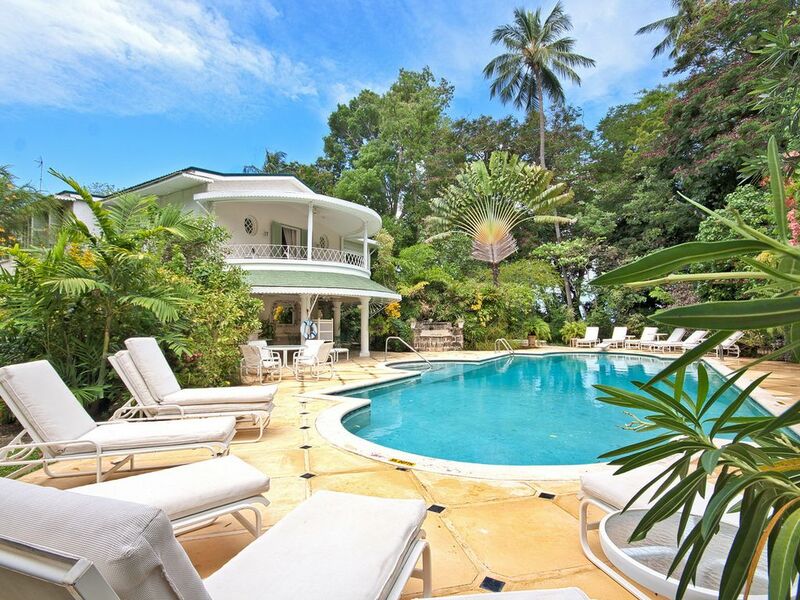 This beautiful beach house is nested within lush tropical gardens and the white sandy shores of our prestigious West Coast beaches, and has the unusual addition of an aviary housing 250 homing budgerigars. Designed by the late Oliver Messel with recent renovations by local renowned architect Larry Warren, St. Helena is tastefully and comfortably furnished with everything you should need to make you feel right at home. Downstairs has two delightful sitting rooms that lead out onto a covered dining patio, which overlooks the garden on the sea side of the house. Also on this level are two air conditioned bedrooms with en suite bathrooms, an al fresco dining area with a pool deck and bar entertaining areas. The pool deck is partly covered and features fountains carved from the islands natural coral stone. Upstairs has three bedrooms, including the spacious master bedroom with a luxurious canopied bed and private sitting room/study, named the &quot;Napoleon Room&quot;. All upstairs rooms open to a spectacular semi-circular verandah equipped with a bar and relaxing lounge area, which overlooks our lush tropical gardens and the charming Caribbean Sea. There is excellent swimming in front of St. Helena, and an alfresco dining gazebo located in the gardens between the house and the beach. At St. Helena the staff are dedicated to making your holiday an enjoyable one. Their aim is to make your visit to St. Helena and our beautiful island a relaxing island getaway.